Nothing gets me cussed at and told off quicker than my reply when someone sends me an email about fixing their dog’s behavior problem because he “is” or they want him to “be” a Service Dog. First off let’s be honest: I’m HONEST. I don’t really lie to people or tell them what they want to hear. I believe that dog trainers should have ethics, morals and principles. Although my job revolves around being good at what I do and making money, I prefer to have morals over telling people what they want to hear to just make money. I Can Tell When A Dog Should Not Be A Service Dog. I have worked in and around the Service Dog industry for over 20 years. I have worked for numerous other Service Dog organizations, set up my own 501 (c)(3) nonprofit, worked for Assistance Dogs International and helped others set up Service Dog organizations appropriately. I have VERY high standards for Service Dogs. I have dropped dogs that I LOVED from multiple organizations because their behavior was lacking for what it takes to live in public all of the time. I once had a cattle dog mix from the shelter that I loved. He was learning all of the Service Dog commands, opening doors, turning on and off lights, pulling a wheelchair and was happy and pleasant with people in public. However one day he climbed my fence and was sitting on my porch, as my neighbor approached, to tell me the dog had gotten out, he growled. That was it. He had to be dropped. He failed. It broke my heart. I could not, in good conscience place a dog with a disabled individual and HOPE he didn’t get protective, even though I had already seen the first sign. Don’t worry, we found him a great pet home, but he didn’t deserve to be a Service Dog. What would happen if he became increasingly protective and his disabled human fell out of their wheelchair (which happens fairly often) or needed Emergency Medical Services (which happens quite often). I will tell you that police will shoot a dog that is threatening EMS because they won’t allow a person to die because the dog is afraid EMS will hurt their owner or they don’t want them in their house. And, truthfully, they should. My immediate response is “That dog should NOT be a Service Dog”. The dog can be taught to endure men, women or children but you can’t force a dog to like all men, women and children if they already don’t. I recently had an email from a woman whose dog was terrified of children and would hide behind her whenever children were around or would approach her. My mind pictures a child chasing that dog, tethered to the lady’s wheelchair around behind her because the kid wants to “pet the puppy”. Once the dog is cornered and can’t get away it is a pretty likely assumption that the dog will lash out and bite the kid, probably in the face. Because, after all, kid’s faces are lower and closer to dog mouths. This dog doesn’t WANT to be a Service Dog! He is completely telling his owner this every time he runs and tries to hide. He is overwhelmed, he is scared and I think we can all admit that children exist in this world and going out in public with a cute dog is going to bring them out of the woodwork. It is really not fair to the dog. But, most of the time, people refuse to listen to their dog. The percentage of dogs that can make it through a rigorous training program and health screening is extremely low. Even organizations that rely on decades worth of successful breeding programs, have more dogs fail than those that are successfully placed as Service Dogs. All of the aforementioned things can result in someone asking you to leave their establishment. And that is even if you ask people not to touch them or use the “don’t pet me” patch! I mean, imagine taking your dog to Chuck E. Cheese. How would he handle that environment? How would you handle that environment with your dog to make sure he didn’t get hurt or overwhelmed? These dogs have to be so well trained and absolutely “bomb proof”. Most dogs don’t want to put up with any of those things on any of those lists. Finding one that can do all of those things and WANTS to, is a rare gem! The liability for taking a dog out in public is HUGE. You will learn that you can’t control people or the public. You can try, but as soon as you are doing something and avert your eyes, they will do whatever they want. And it simply isn’t possible to keep your eye on your dog constantly. So if you have a dog with fear or aggression issues, even small ones, you are risking being sued for everything you own. You are also risking the life of your dog. Public places are filled with all kinds of different people: men, women, and children of all shapes, sizes and colors. There are also people with mental disabilities and challenges who understand nothing of dog behavior, and sometimes do inappropriate things to Service Dogs. Many adults and children are poorly behaved. So if there is any question that is not purely “task training” related, that dog should not be a Service Dog! 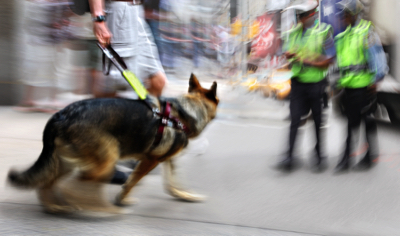 Want To Learn How Train Your Dog To Be As Well-Behaved As A Service Dog? Check out our 8 week class, where we walk you through how you can use Service Dog industries impulse control training process on your own dog to train your dog to be the ultimate companion dog. Click here to learn this training process. Great article and thank you for your service. As a handler with a service dog, I appreciate your advocacy and for maintaining the highest standards. My buddy has vastly improved the quality of my life and I was blessed to receive him very well trained. We work daily to maintain that standard not only to pass the annual public access test, but to ensure his behaviour is beyond reproach in public. In fact, he fares better than I do in that department. Thanks again for your informative article. One thing I find having a service dog, it’s a lot more responsibility because training doesn’t stop just because the dog is now certified. It’s the grooming so their hair doesn’t end up in someone’s food when at a restaurant or smell. Vest clean, leashes clean, you are setting g an example for others with service dogs. I have a German Shepherd, only first responder on Vancouver Island with a service dog, so far, we been together five years, three and a half of that training before we were certified. My beef, every one I meet who has a dog tells me they are training theirs to be a service dog, one ends up they are training for therapy; yes there is a difference. They think their dog will be a good service dog, but just being with them for short time; they will say one of the things in this article; but I know nothing according to them because family and friends tell them what they want to hear or fly by night trainer. What would you advise an owner to do in extreme situations? My dog and I were in a very bad fire a year ago. Since then my dog has developed separation anxiety that has worsened to the point of where he is no longer doing work in public. He is comfortable in stores, still able to assist me and is good around the general public however, he is terrified of being outside. I made the hard decision to address this issue and stop bringing him out as a service dog because I wanted to do what’s best for my partner. The vet put him on medication and thinks with time his anxiety will lessen. Until that happens I don’t want to stress him out or force him to do anything. I just can’t stand seeing my 98 lbs boy standing with his tail tucked between his legs and shaking in fear. I’m wondering if in your experience a boy like mine can once again act like a service dog? He’s 2 and a half years old now and healthy, he was doing balance assist training quite well before the fire. I tried everything suggested from agility class to build up confidence again to more exercise and even a thunder coat before putting him on medication. I would take him to a veterinary behaviorist and see what their opinion is with medication and behavior modification. Each dog is different and they are the best apt to witness the behavior and give you an accurate assessment. Excellent article and right on the mark! Our beloved dog is the best family dog ever but he would be a terrible service dog. Despite his devotion and brains, he has a huge timid streak that would give rise to unsound behaviors as an SD. He was a puppy we raised but he was dropped from the program because of temperament issues. As volunteer puppy raisers for an organization which provides dogs in various roles including SD’s, we appreciate that this group doesn’t go with a “mostly OK” attitude toward training. The worst scenario is when we get a call from a well-meaning soul who says, “We just bought a puppy to be a service dog for our special-needs child. Now what do we do. Will you train him?” Dogs are not programmable. I hope this article is shared far and wide. Our family has had six guide dog puppies now, Three passed, two failed (one health, the other just loved water…) I agree they have to be bombproof, but it’s a combination of good breeding and early nurture which seems to help. Your posts have been very helpful and encouraging when we met strange situations, so keep up the education! I have a facility dog through a large well respected service dog organization. I try to educate others when we are approached while on field trips or when people visit our clinic. Thank you for the article so well written. I too have seen awesome dogs not make the cut because of one flaw in their character. They go on to be awesome dogs in other capacities. Thank you for such an awesome article. You really got to the nitty gritty points of explaining how a service dogs behavior should be in public. It doesn’t matter how well obedience training a persons dog behaves with family, children,and familiar friends within it’s surroundings. It’s taking these dogs out as untrained service dogs that cannot handle the public pressures trained service dogs endure everyday with their handlers. Unfortunately, people who think they can slap a vest on their dog to make it a service dog end up unruly, bark or even have the potential to bite due to the stressful environment these dogs are not trained to handle. It’s unfortunate the people who do this to their dogs ruin it for those who are disabled including myself that require service dogs. They need to realize these dogs are not pets. They are a medical necessity. Do you think these people realize we didn’t ask for our disabilities. We didn’t ask to use canes, crutches, wheelchairs, braces for legs, arms, backs. We didn’t ask to have PTSD/mental illness, hearing impaired or even autism or epilepsy, diabetes, Parkinson’s Disease. 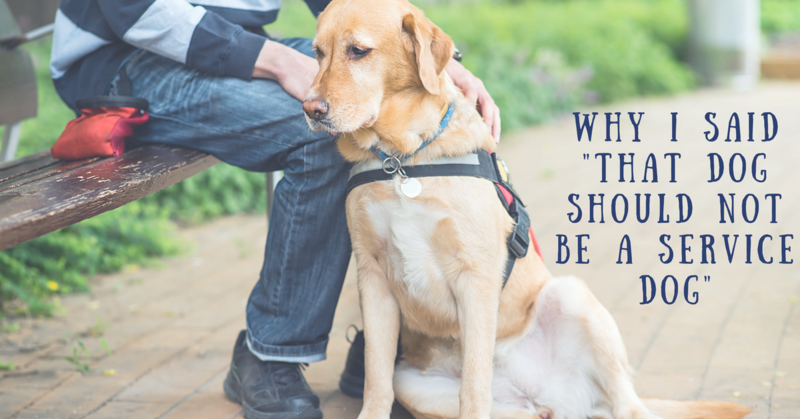 Service dogs are meant to be trained to help with the disabled not for anyone who wants their pet dog to be with because they see us with a service dog. Please understand the right dog goes under rigorous training in order to help the disabled and is able to handle the public unlike a pet dog. Love your article! I received my third service dog, Tansy, about 1 1/2 years ago. I cannot believe the surge in outright frauds and those who want to believe so very badly that their ESA ( their PET, really ) can go everywhere a real Service Dog does. In the past, and even now, my SD and I have been charged, barked and lunged at, and even snapped at. One little unleashed purse dog actually came running after us and almost got ahold of one my dog’s hind legs! The owner of said dog declared,”Wow! That’s a BIG one'”. To which I replied, “Yes, but mine is LEGAL!” I did speak to the store manager, and they tried to find her to ask her to leave. The only point of your article I would ask about is my dog can be asked to leave is she vomits…I wouldn’t stay if she were getting sick, and I would make sure I cleaned up after her. To me it’s kind of sad you had to add that to your list, as any handler should remove the dog on their own. Thank You for your imformation. I wish every state would creatate and pass out laws governing service dogs and companion dogs. I am so tired of dogs in stores restaurants and other public places that are not working dogs. I was Blessed to have had the company of a trained service dog that failed because he was food aggressive. I also discovered he just didn’t care for children and other dogs. He was a great gental man I enjoyed his company miss he greatly. I’ve seen so many people who claim their dog is an “emotional support dog” so they can take their pet into stores, restaurants, libraries, and so on.. And I suspect that many individuals who want their animal to “be a service dog” don’t want that at all – they want to be able to take their pet anywhere they like. It bothers me because it diminishes real service dogs and the people who truly need them. As a handler of a service dog from a reputable organization, I am more and more, questioned from people whether I “slapped a vest on my pet because I couldn’t bear to be without her.” To which I reply that she is a highly trained service dog; observe for 2 minutes &!you’ll notice the difference… the other concern is this that you wrote about. At an amusement park, another patron’s dog (walking 6′ out in front of the handler) charged and barked at mine who was at my side. it was a scary situation, and happens more frequently. Excellent article. On my 3rd service dog and consult on training, and this was spot on. Need to send this to Dept. of Justice to rewrite ADA guidelines, which on last update left emotional support animal field way to open to interpretation. Great things to know about the serve dog . Does any dog that has been trained and passes all the tests Can The dog be put with any master (person in need) ? Will the dog get along with anyone? Great article. I am currently trying to find a trainer for my dog. Do you recommend the course “service dog course sale page” that is on your article? I have a place that will pay for it but we are in Alaska and finding a good trainer has been difficult. Most are full or have a bad reputation. I have balance issues and PTSD. The dog has tried to save me from falls and will allow me to use to him get up and down. He licks me when I have an attack. He loves people in public (we only currently go to stores that allow dogs). He’s a year old. We have been through puppy and obedience classes. He is great with the groomers and loves other dogs. At what point should I be stepping up the training on my own or send him to a trainer (if and when I find one)? He just turned a year old. He is a Doberman. Is there anyone you could suggest in Alaska or training I could do to train him better? The organization will have a screening process. The dog will have a specially whether it’s a balance dog or a hearing dog. Once you are matched up you will go for 2 weeks with training you and your dog to become a team together and if all works out you can go home together. The organization will do home visits to see if you need to work on something. My dog and me worked so well we could read each other body language. I could tell that he was going to shake so I told him to shake and he did. The person I was talking to was impressed and said “will wow you tell him to shake and he did it. He is so well trained”. I smiled and said I know him well enough and knew he was going to do it. We laughed. Each organization have their own rules and how they do things but what I mentioned is normal. For the person that says I wish everyone would use an organization, not everyone can. I have both physical and mental disabilities and a lot of organizations will not allow you to use their organization if you have mental disabilities as well as physical, so your choice is owner training or lying. I have seen some great organizations and I have seen bad ones. I have seen some bomb proof owner trainer service dogs and I had one myself. I have a few questions. This is a great article, I have 2 mobility prospect puppies. I am wanting to do your 8 week course, but don’t know what she you suggest to do it at. I would not accept a puppy at all or even consider one. The majority of puppies being raised for Service Dogs are dropped because of health issues. Imagine spending 2-3 years training to find out they have hip issues or elbow issues or are just not strong enough to do the work; then you are emotionally invested in an animal that you want to work but are literally killing with the work. This is why I got adult dogs over 2 from shelters and had them xrayed, hips, shoulder and elbows. Then I only face the training time and continued testing for being in public (many of them fail that after they pass the initial test). I agree with like 95% of this post. Except some things – for example the riding escalators. I was specfically told by my doctors not to ride escalators under any circumstance – so why would my sd need to be service dog trained. The same goes for flying – my dog can’t fly for health reasons that otherwise doesn’t affect his work, but I also am not allowed to fly. (He is also now ‘trained’ to get up every two .hours when we are settled somewhere since I started a new treatment plan that includes this with my doctors. If I regive him the settle command he will but it is a better reminder that I need to get up and do a pacing session then the reminder on my phone. One of the people I train with has an SD for allergy issues and his pup sniffs his food on command then settles down if it is okay and gives an alert if not. It now looks more controlled and is slowly getting less obvious but when he was younger we got a lot of dirty looks when we went out. I also don’t use a program – mostly due to cost and since I have trained dogs for a few years now. I do have a network of sd handlers and trainers, we all meet up when we can. A few have program dogs. The one program near me that I could potentially work with doesnt believe in rescue dogs being used as service dogs, and I prefer them due to personal reasons and having a very very good rescue. 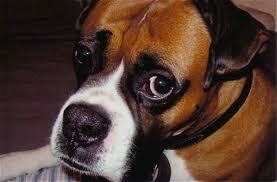 (They temperment test all their dogs, as well as doing basic and more in depth health testing. And I get a ‘foster’ period where I can decide if I connect with the dog and how well they are suited for sd work. In addition to preferring ‘rarer’ sd breeds.) That program also uses a heavier hand then I am okay with – they fit every dog with a shock collar the first appointment and every dog over 60 lbs with a prong collar. Dogs that are trained by programs should be able to do a multitude of things, escalator and elevator riding just to name a few. The other regulations are made by Assistance Dogs International, which is a governing body for their access test. I think any dog out in public should be able to pass their access test, no exceptions. July 4th!! Can I get on your mailing list so I’ll know when you offer the next class PLEASE! I’m one of those poor owners who was ripped off. Once I figured this out, hired two different trainers who tried to help me salvage the situation, and observed behavior that would immediately disqualify my dog for service, I stopped taking my dog anywhere that has restrictions. There are many victims of this kind of scam, and I know at least four others in my community who have been ripped off this way. It’s heartbreaking. Thank you for sharing your knowledge about service dogs. This will help us a lot when we consider to make a decision that it won’t turns out to be the wrong one in the future. Honestly, service dogs are very individual and since there is no official certification, regulation, or test they MUST pass in order to be a service dog, if they cannot do things that you aren’t medically allowed to do anyway, I wouldn’t worry about it. Same with if they can’t do tasks that you don’t need. If they can’t retrieve small objects, but that’s not something you need them to do, then it’s not an issue. If they do well in public and are doing the tasks you need, then there’s no issue with them not being able to do “bonus” behaviors. Please explain to this noob what the difference is between training for – and just exactly what is – a service dog, a companion dog and an emotional support dog and any other specifically trained dogs. I think the public like myself get a little confused. I have a wonderful dog that I would like to train to go any place with me but she is so loving and friendly with the world in general that I am afraid she would not make the grade…and she is terrified of firecrackers and has to be sedated on those occasions. She has never so much as growled at any one or anything no matter what and I have used yours and Chet’s programs tokind of train her over the past 8 years. I didn’t learn to use the clicker. I did leash her to me when I brought her home from the pound at 6 months and kept her at my side all of the time to house break her in record time. She kind of stresses when she is left alone (if I leave her) which is almost never. I would call her my little companion even though I get a little stressed when I am not with her. Maybe she fits more into the category of emotional support dog for me. I didnt know there were training courses for those specific areas. I really hate seeing wonderful dogs left to their own devices and allowed to bark incessantly. Maggie doesnt bark even when around those barking dogs. I take her to the plant nursery and to Lowes and she rides in the baskets or wagons with her clean blanket down under her. My son takes her to the park for a nice walk every day that he can before it gets too hot. Because of bad behavior that I have seen there, I do not allow her into the dog parks. Maybe their should be regulations on owning a dog like proof of training or some how forcing the owners to accept responsibility for their dogs before a lawsuit. So many people want a pitbull and then so many of them wind up in the shelters facing euthanism because they are beyond control or the owners changed their minds and those beautiful babies have to pay the price. I could never have a sevice dog without it being my pet and family member. How can you detach yourself from such a wonderful creature? Don’t the service dogs have emotional needs like to be loved? If they dont have affection for them how can they learn to care for the patients and if they are not protective of those patients how can they really be of service? I am really confused. Service Dogs are only for people with disabilities. The majority of dogs are not suitable to be service dogs. I really enjoyed your article and thank you for writing it. But I have a question if you can help me with the answer? there is a patron that comes into the restaurant I work at and he states that his dog if it is a service animal. This dog will bark at people and to get to close to the table, if the older walks away from the table without the dog the dog will follow him, he kicks the dog continuously underneath the table, and then he gets upset by people coming anywhere near his cable thinking they want to pet him and he gets irate and screams at people when that is not even the case. I have been around service dogs my whole life practically and I told her that service dogs should be invisible within reason, should not bark or be aggressive in any matter to anyone around them, and should wait for commands by the owner without following them without permission? it makes me very angry that this man comes in all the time and berates me if I get close thinking I want to pet his dog when I just need to do work close to another table. I’m finding it very hard to do my job if it’s close to this dog and this handler and I do think he is a fraudulent service dog so he can bring the dog inside the restaurant with him? is there any advice you could help me with because something’s not right and this guy’s a total jackass to everyone especially me cuz he thinks I want to pet his dog when all I do is come close to fix up a table or or do anything that entails my job anywhere near this dog and his handler. Honestly I have been out of the game for a long time now, laws have changed. look up and contact Assistance Dogs International and ask them about this situation. They will be happy to help you (I used to work for them as well) and point you in the direction of what you can do within the law. Great article. I had been lucky with my first service dog. He excelled in everything he was asked to do and was a total sweetheart, served me well for 10 years before he retired. My new dog is a different story. She was great for the first year, then an incident (she was attacked) with a “fake” service dog has made her dog aggressive. I rarely see other dogs in public where I live but after an incident (she became the aggressor…did not get anywhere near the other dog) I can no longer use her. My problem is that I have to have a dog because of my disability otherwise I am pretty much home bound. I really need to find her a forever home (breaks my heart) but am at a loss as to how to do it. If you could point me in the right directions it would be greatly appreciated. Thank you in advance!